Has anyone had issues with Xiaomi phone recently? Mine auto updated and now the battery last less than a couple of hours, it used to last three days!! I got the redmi note 4 about 8 months ago and it was working great until then. Does anyone know if this is a common issue due to the update or if it would just be my phone? Does the phone feel warm all the time? Prob got a runaway app. 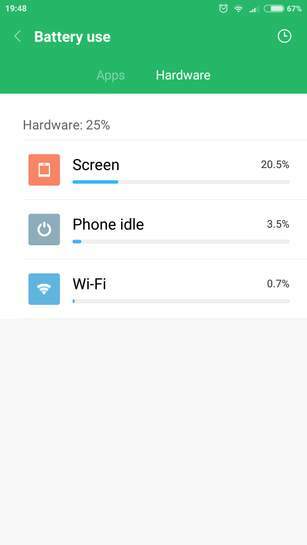 Check settings/battery.. you'll find an option that will show you what percentage of battery devices/proceses/apps are using. See if you can see anything that looks wrong, or you could post a screen shot of it here for a look. Hi, thanks for the reply. I've deleted any apps that were installed but that never made a difference. Is there a way of resetting the software on the phone to what it was last week before I got these issues? 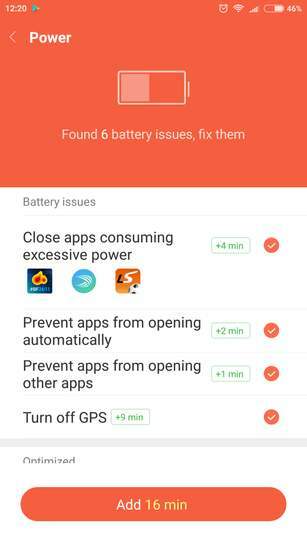 The latest Google November security update has caused widespread battery issues on a large number of phones. Should be fixed at some point. 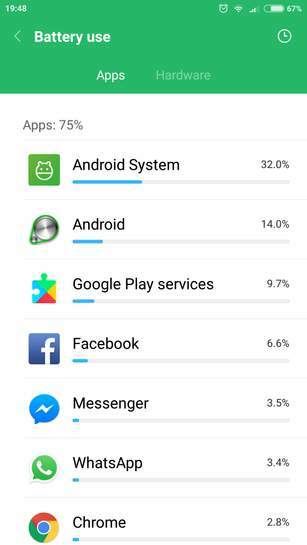 What's your actual standby and screen on time in the battery stats in settings of the phone. I can't find the screen on time, only the above. Right so on your battery screen do the clock icon in the top right to get the total on time, try and get this at about 10% battery. Also tap screen to get the screen on time. Could you please post a screenshot from the about phone screen in settings so we can see what software you're on (and security patch date). 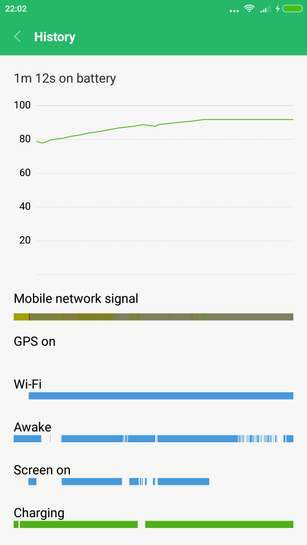 Personally I run the xiaomi.eu software, it's much less bloated, performs better and the battery is better (although I'm still getting at least a third worse battery than I did in October, this is due to a buggy google security patch update). 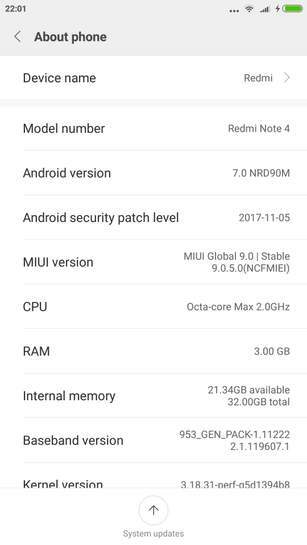 Ok, well you're on official global software and you have the November Security Patch so I'd imagine that's the problem, I'm on the Xiaomi.eu beta based rom with the same patch and as mentioned my battery is at least 1/3rd worse than it was. It's a widespread problem affecting lots of phones including Google's own Pixels, if you can I'd just ride it out, should be fixed in a few weeks hopefully. The not charging to 100% is a little odd but could be related. 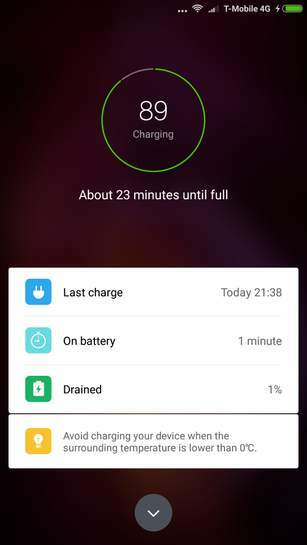 Are you using the official charger, I'd try run it down to 10-20% and try a full charge with the phone powered off (should take 2-3 hours). Thanks for the replies so far, glad that it might be a problem with the security patch and not something stand-alone with my phone. The issue I have with letting the battery drain to 10% is that it does to switch off at around 28% so never gets to 10%. Any ideas? I'd do a full wipe and flash with the official MiFlash or the easier to use unofficial Xiaomi tool. reddit.com/r/x…iki should have guides for both methods. Although I called my phone insurance and they gave me enough money to cover the cost of a new phone when I sent the old one with the battery issues back to them and they couldn't fix it. I ordered a new battery from China, waited 3 weeks and it never arrived, then they sent a refund and apologised for not sending it. any bank gives free phone insurance?